Each year, my Grade 8 English class produces a School newspaper to be distributed throughout the community. You may get your news through various sources. Perhaps you read The Chronicle Herald or listen to The Daily by The New York Times. Whichever source you choose, it is important to make sure that it is credible. You now have the opportunity to get some hard hitting journalism from the fine folks in the English 8S Newsroom. Find a copy of KES Today attached! I assure you, they have been working tirelessly reporting and fact checking to make sure all the information is correct. Enjoy! We're working hard to make the commute to King's-Edgehill School easier for our Day Student families. 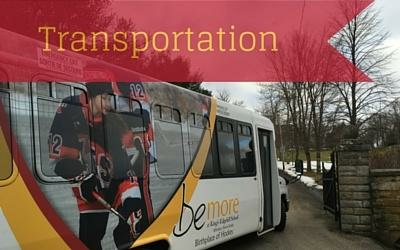 Ask us about our Bus Services for our Valley, Halifax, and Chester families!